When it comes to putting together a killer outfit, there’s no denying that French women are the absolute masters of this fine art. Whether she’s strutting around the markets, chillaxing at the park or unwinding over a café crème with her gal pals—the French woman sure knows how to look effortlessly chic, no matter the occasion. So to help you channel your inner French gal, we’ve put together a handy little guide that will have you looking as if you’ve stepped off the streets of Paris! 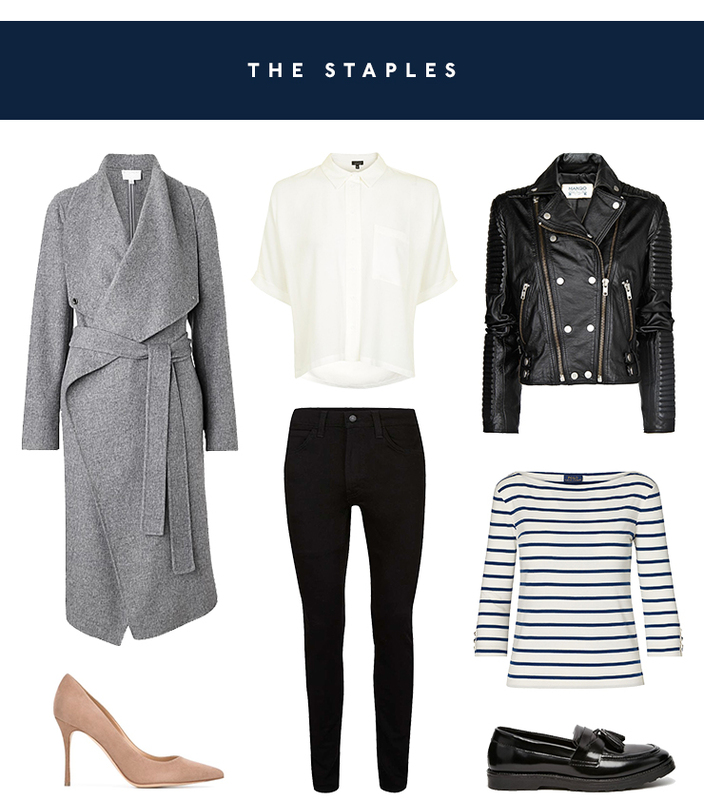 First things first, you’ve gotta have a set of trusty staples in your wardrobe. These classic and chic items are basically the backbone of any fabulous French woman’s wardrobe. They’ll magically lend themselves to all kinds of outfits and occasions and if all else fails, can be thrown together to create a go-to outfit! A go-to pair of flats. 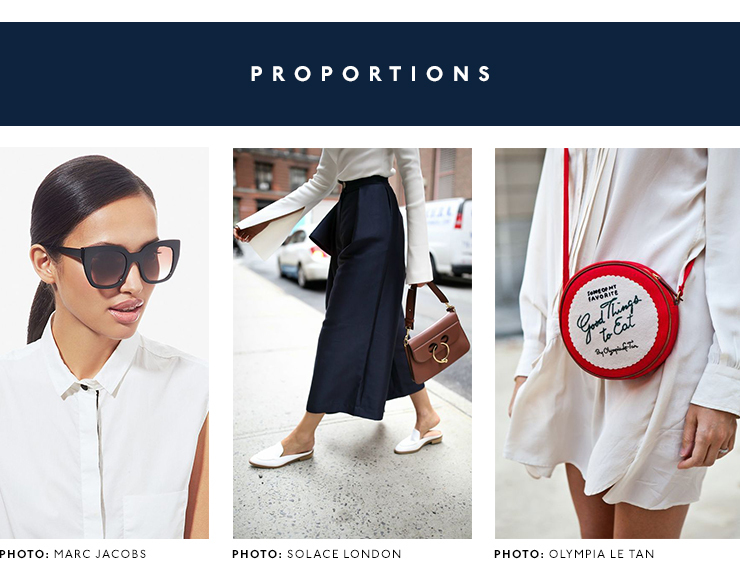 Ballet flats, loafers, brogues whatever suits your style! Like with a fine painting, a carefully considered colour palette is key to aesthetic perf-ect-ion. In order to be as well put together as the Frenchies, you’ve got to suss which colour scheme you’re gonna be working with. Put your thinking hat on and figure out which hues and tones suit your complexion, what you rock on a daily basis and what shades you love and loathe. 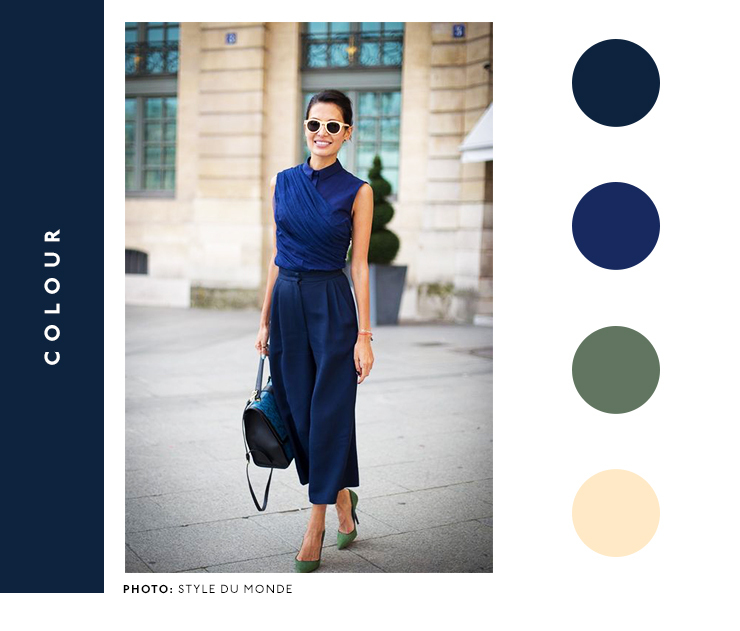 Once you pin down whether you’re a jewel-tone or a monochrome kinda gal, you’ll be well set to curate your perfect wardrobe a-la-française! Hint: the darker the palette, the more French you’ll seem! A ‘you’ personal uniform or, err, “youniform” is something that every French woman has definitely got sussed. She’s got a clear cut set of clothes and styles that she rocks on the daily as well as her special way of styling them. A peek back at your most recent outfits will be a tell-all of what your go-to uniform is. Once you’ve figured out if you’re a boxy-tee-and-dress-pants-n-loafers or boyfriend-jeans-and-sneakers kinda gal, then shopping for and styling these clothes will be a chic, effortless breeze. Wise man Karl Lagerfeld once said that trendiness is the last stage before tackiness. And a French gal knows this is 1000% true. She sure as heck doesn’t wear something just because it’s ‘in’ or a Kardashjennerian posted it on Insta. She knows what she likes and what is just a ridic fad that will be over in a blink of an eye (ahem, fishnet stockings peeking out from under jeans anyone?). It doesn’t mean that embracing a trend or two is out of the question for her, but rather she’s more selective about which bandwagon she’ll choose to jump on to. Nothing shakes up your look more than experimenting with contrasting and complimenting proportions does. Make like the fashionable Frenchwoman and don’t shy away from playing around with different silhouettes when putting together your outfit. Try a figure hugging top with billowing wide fit pants, a statement bag paired with your mini sundress, a huuuge pair of sunnies with slick, pulled-back hair. The Golden Rule, First Holy Commandment and Holy Grail of French-girl dressing is that less more. Always. Forget blingin’ yourself out with all the accessories you own or smothering yourself in layer upon layer of layers—it’s all about toning it down. Take a note out of Coco Chanel’s ultra-chic book and take one piece of jewellery or an accessory off before you leave the house. Understated glamour for the win! 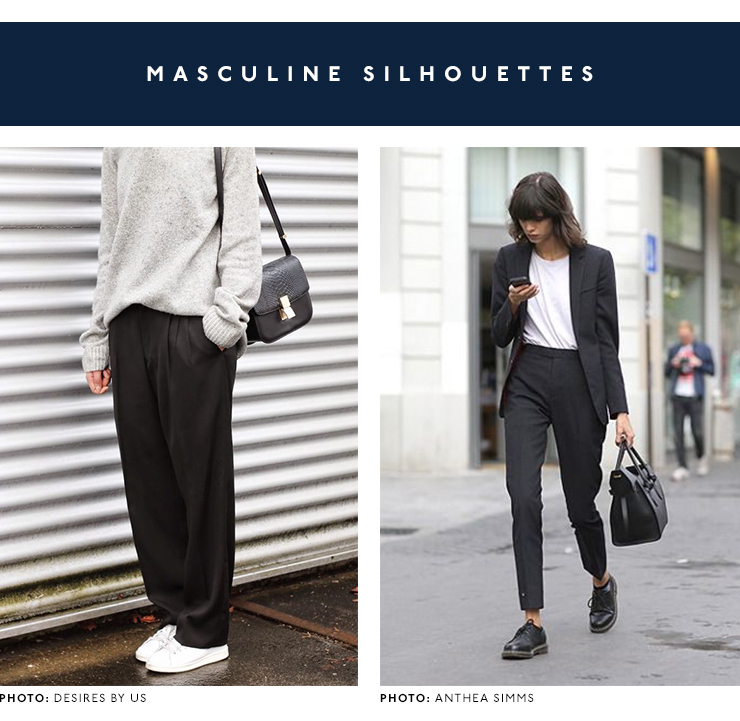 One thing the French girl is unapologetically not afraid to do, is to mix and mingle masculine silhouettes into her look. Yves Saint Laurent’s legendary smoking suit, all these dropped waistlines and pantsuits that we’re seeing reappear on the runway—they’re all testament to this. Add a little dash of boyish flair with a big pillowy shirt, a pair of loose culottes or some oversized outerwear. Overdressing for an event is always awkward AF. Rocking up to a party all glammed up when everyone is rocking jeans and tees is a rather cringe experience—to say the least. Make like the French woman and avoid these awkies situation by following this one rule: if in doubt, don’t go all out. Classic silhouettes and simple colours are your best bets for looking ultra-chic but never OTT. Whoever said that you can’t be seen wearing the same thing twice needs a good talking to. Take a leaf out of the French woman’s book and screw that advice—because heck yeah, you can (and should) wear your favourite pieces as much you like! The sky is your limit as to how many times you want to rock your fave tee. We’re not counting and you shouldn’t either. After all, clothes are meant to be loved, styled and worn on repeat.